Touring Bangladesh will begin its New Zealand tour with the warm-up match against New Zealand XI at the Bert Sutcliffe Oval in Lincoln. Visitors will be pampered with 3 ODIs and 3 tests from February 13th to March 20th. Test specialists Shadman Islam and Mominul Haque will team up with other players to form Shafiul Islam and Mohammad Mithun to form the BCB XI. Bangladesh has not played ODI since mid-December. Since the World Cup is only a few months away, the tour offers a perfect opportunity for Bangladesh to prepare. The Tiger's last ODI mission was against Windies when he won 2-1 in domestic conditions. The conditions in New Zealand, however, will be completely different from those in which they are located. The fact that Bangladesh has never won an international match against kiwis in their homeland makes it fascinating. On the other hand, the hosts are currently in the T20I series against Men in Blue - India. 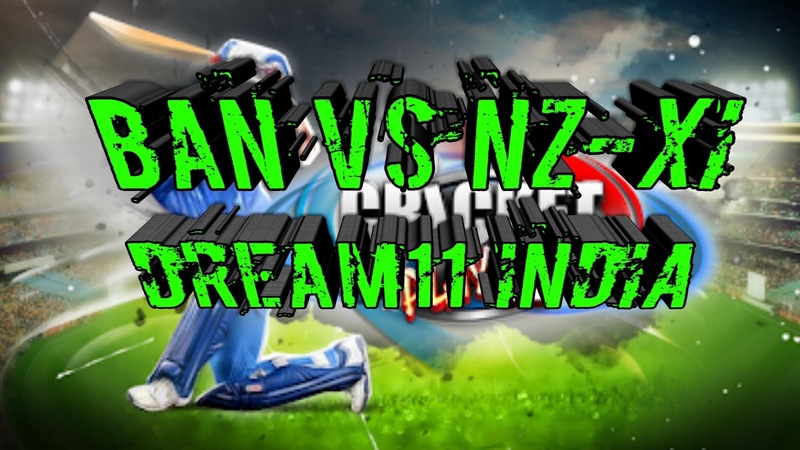 The T20I series consists of three games and is considered 1: 1. The series decision is tomorrow to take place in Seddon Park, Hamilton. Kiwis were outperformed by 1 to 4 in the ODI series, but looked convincing in the shortest format. The likely BAN vs. NZ-XI playing 11 is listed below.